Our Baby Care Experts have created a detailed list, of everything you need for feeding your new baby. 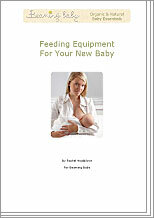 The feeding equipment you need will vary slightly, depending on whether you choose to breastfeed or bottlefeed. We provide a list for each option.